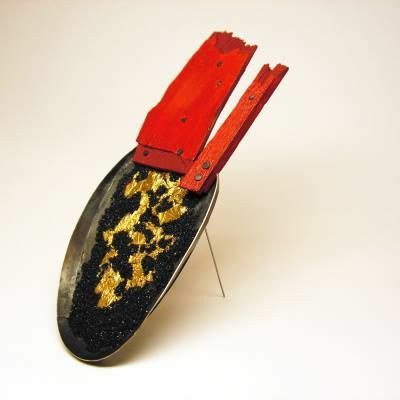 “Environments” by Rag Tag Collective. 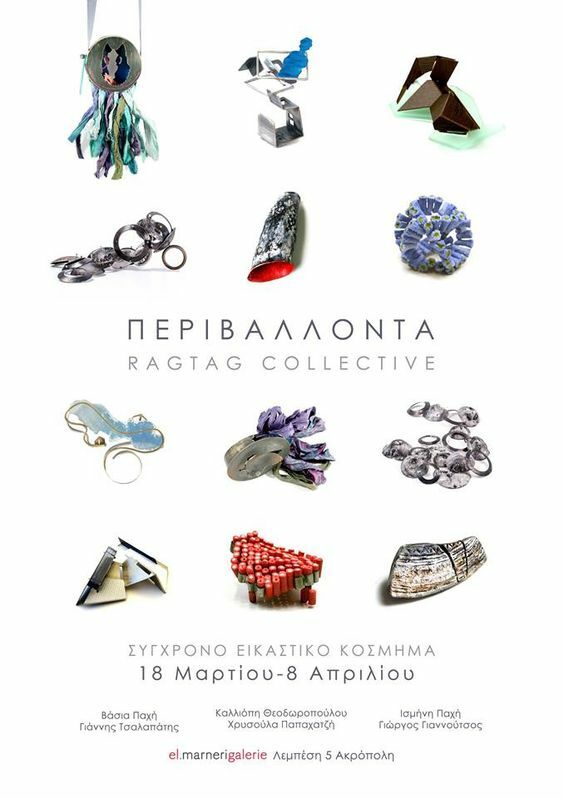 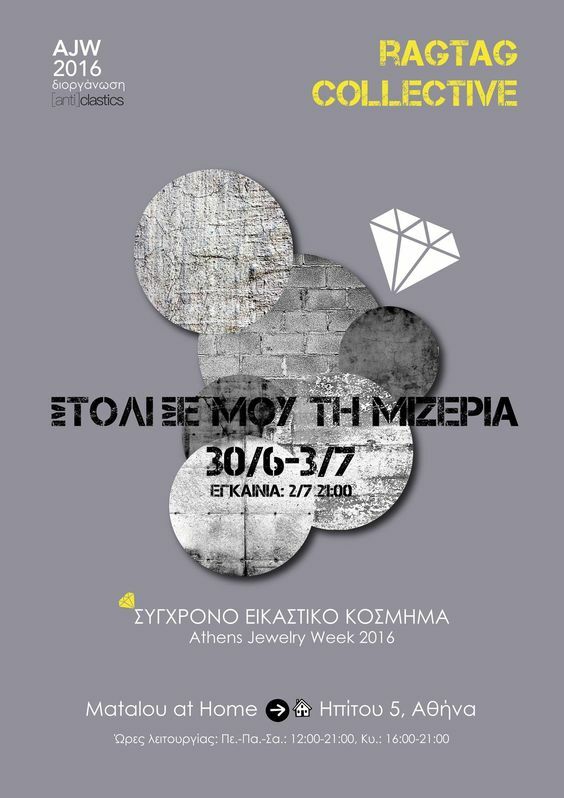 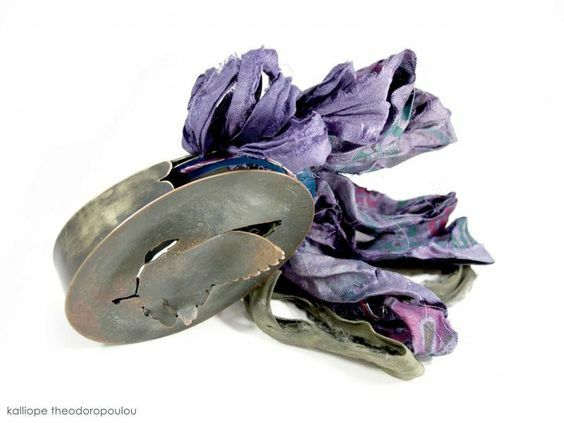 Rag Tag Collective consists of six Greek jewelry designers with different personal starting points, whose paths intersect in the name of the contemporary Jewelry design. 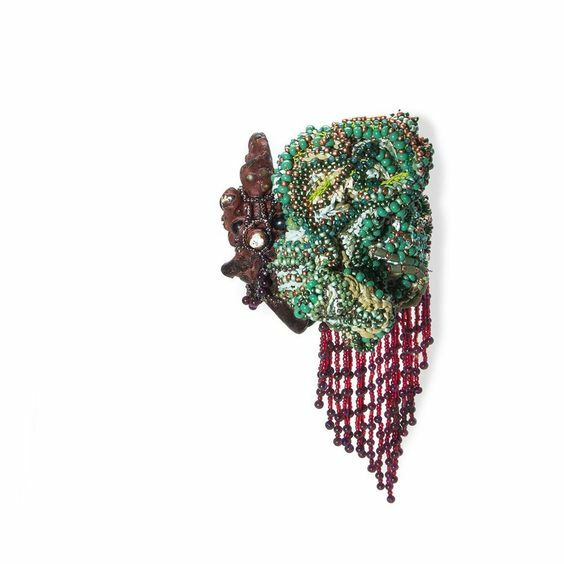 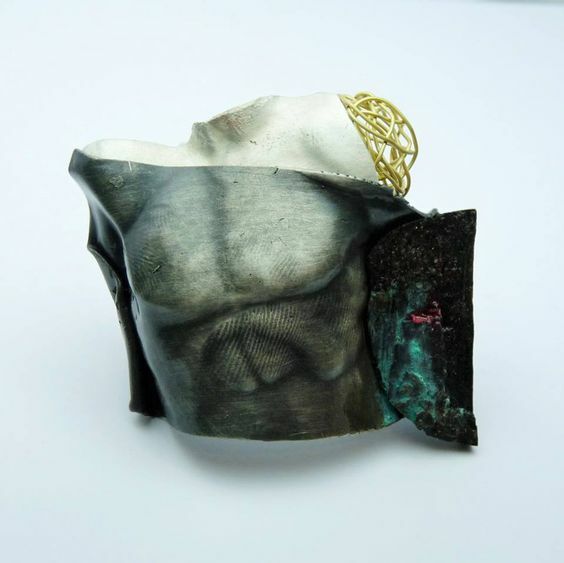 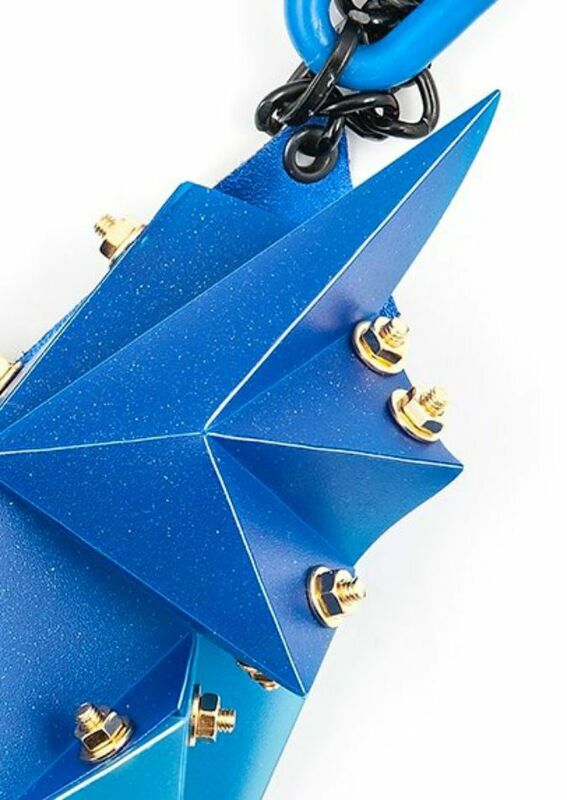 These totally different starting points give the group a characteristic diversity, ` a « patchwork » of characters and temperaments with a common goal: the expression and communication through contemporary jewelry. 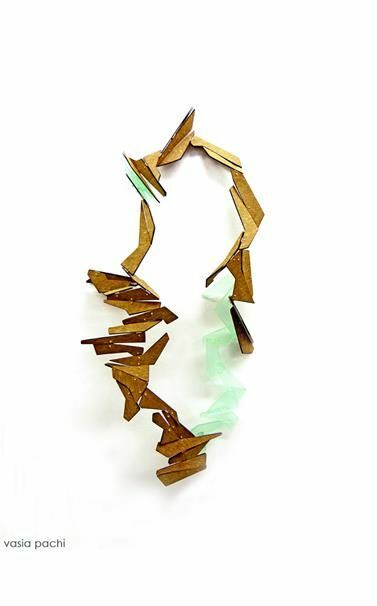 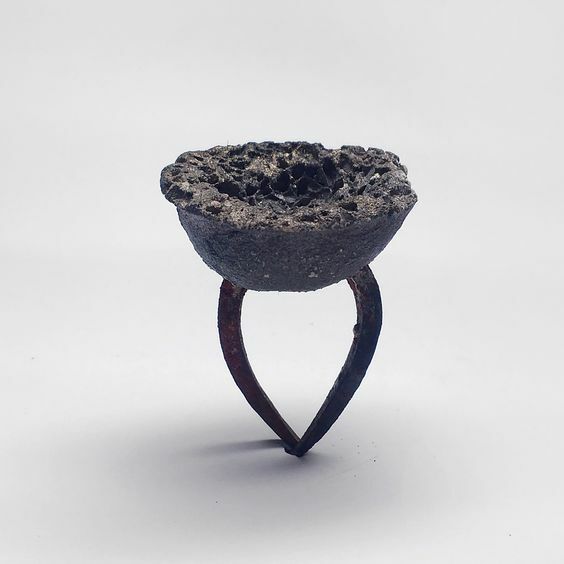 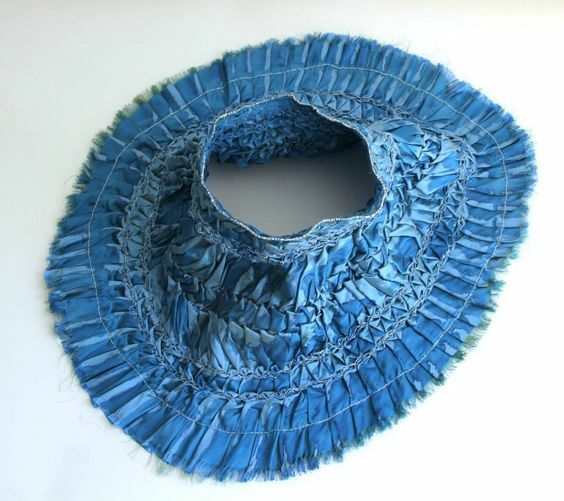 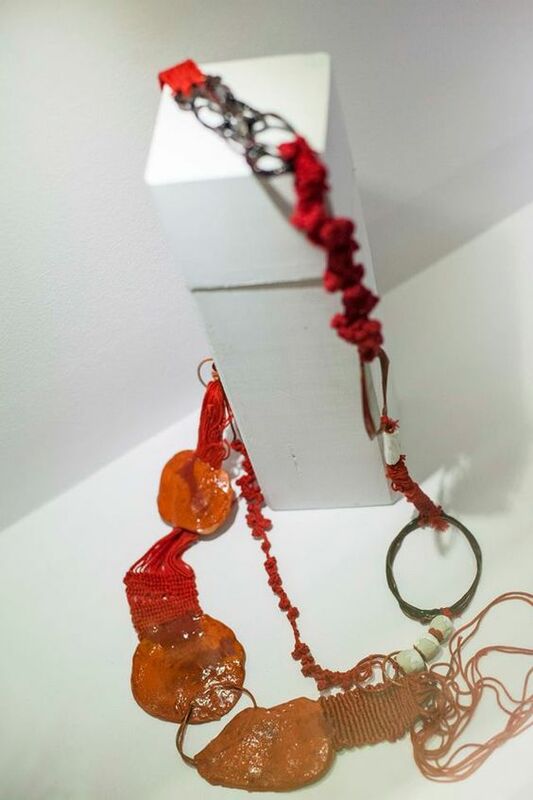 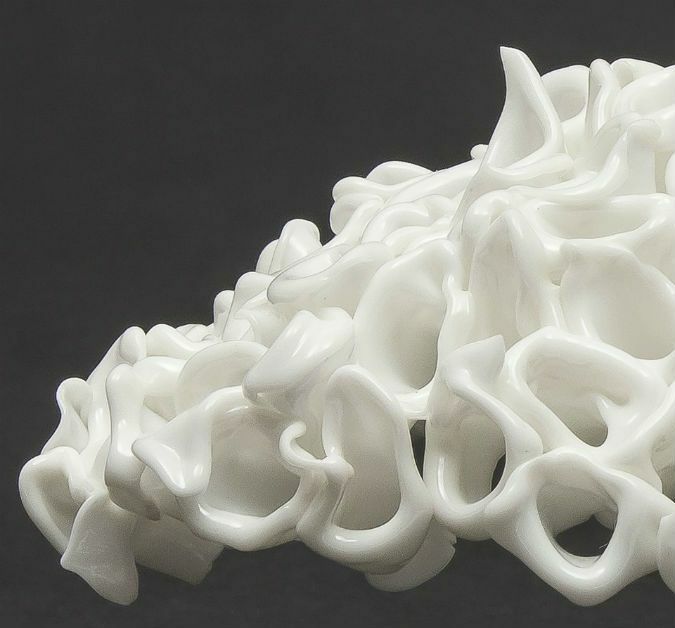 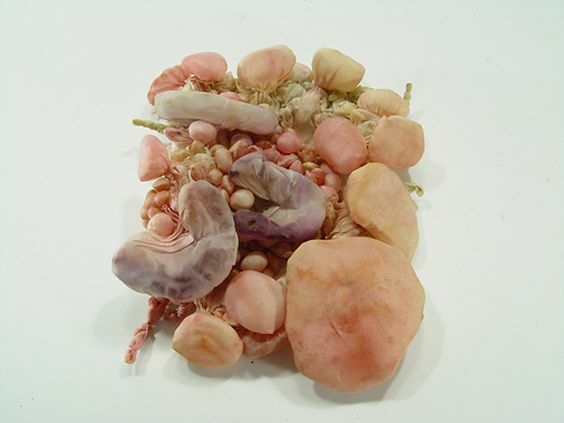 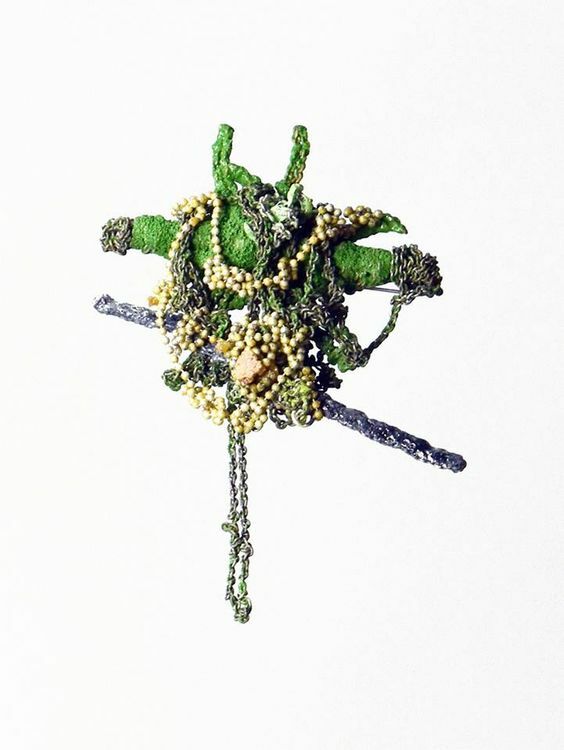 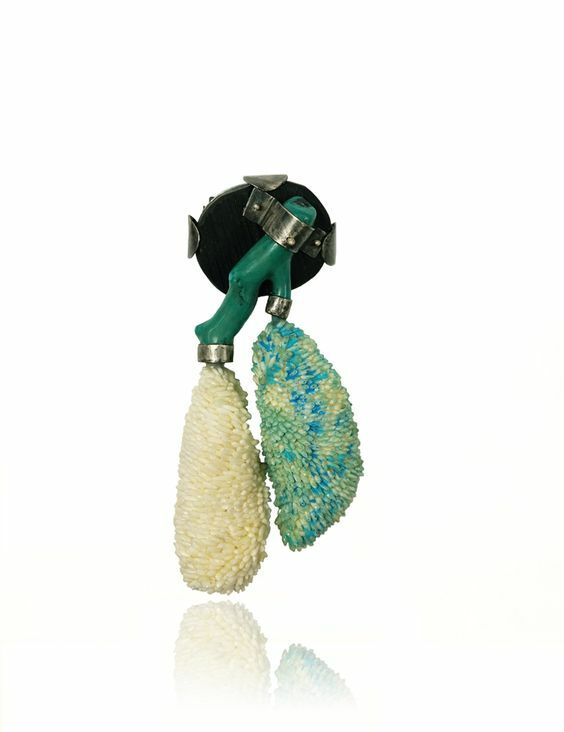 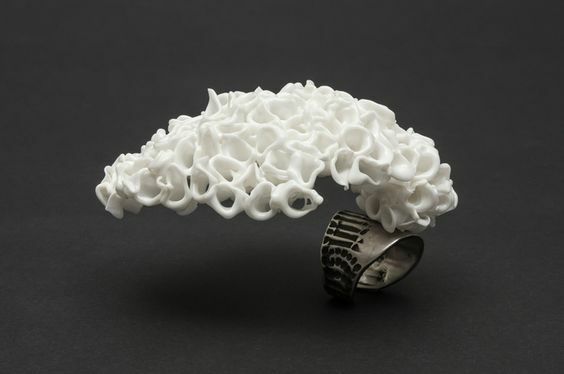 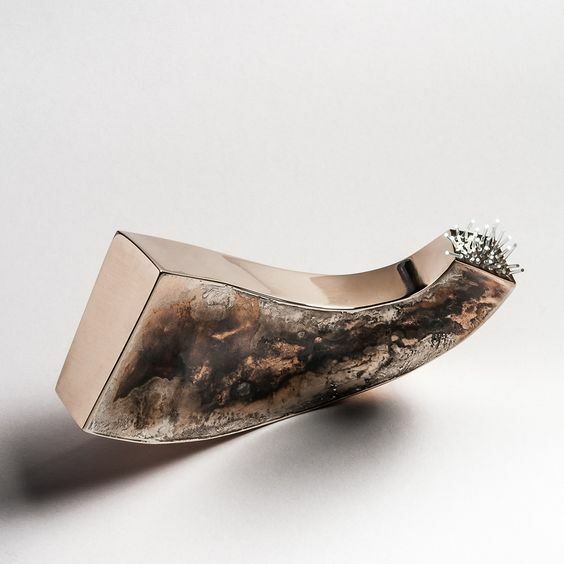 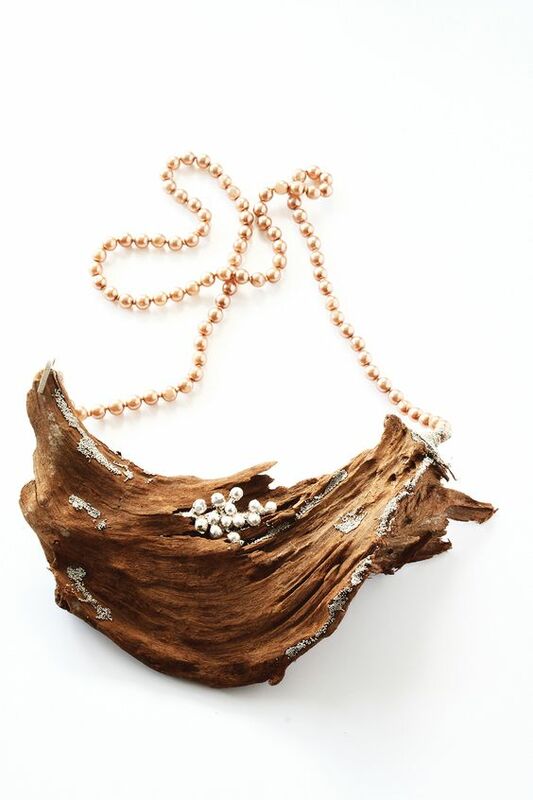 The RagTag collective was formed in 2012 with a view to using contemporary jewellery as a vehicle for expressing and communicating its ideas and concerns. 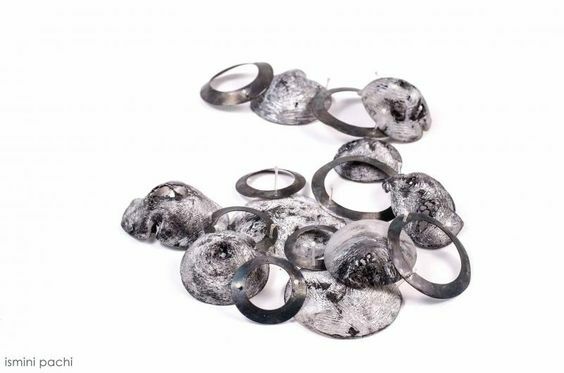 The collective’s identity is a blend of the various backgrounds of its individual members, while their choice of contemporary jewellery is based both in the medium’s communicative potential and its capacity to act as a means of social engagement. 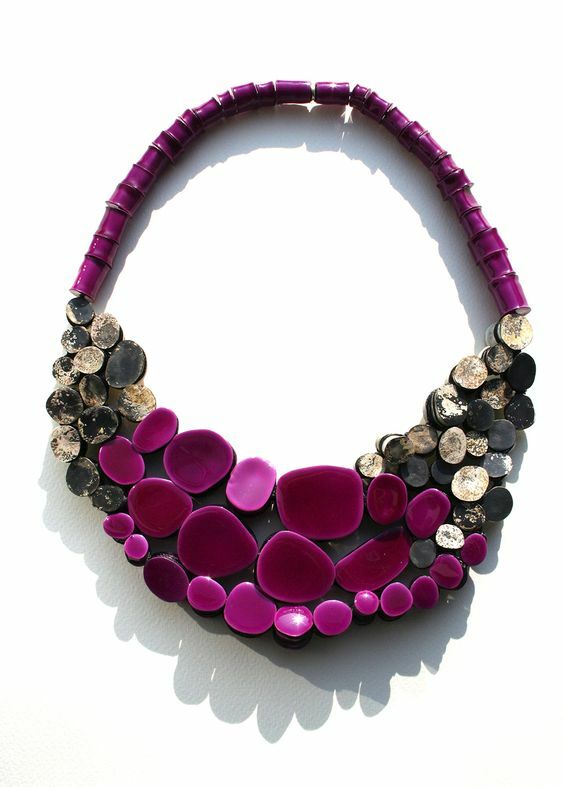 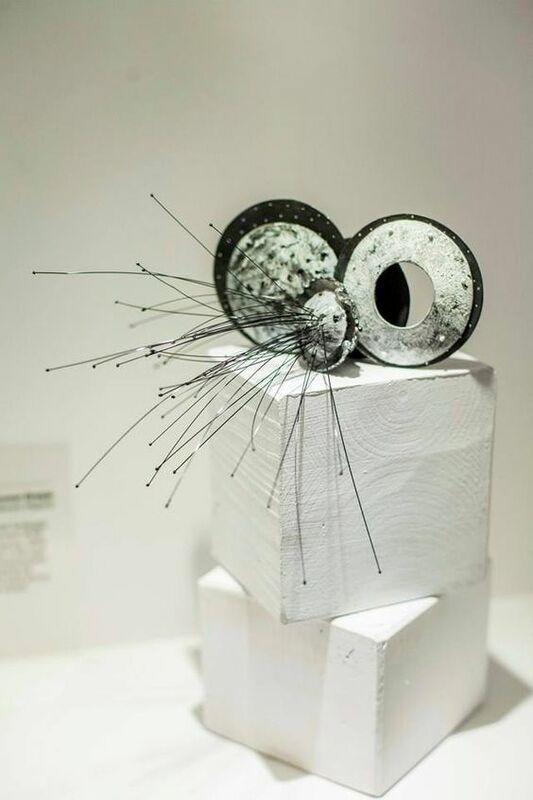 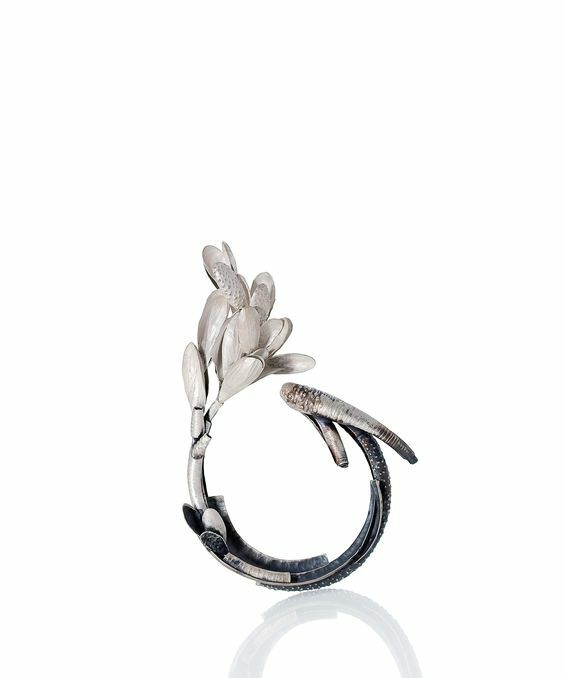 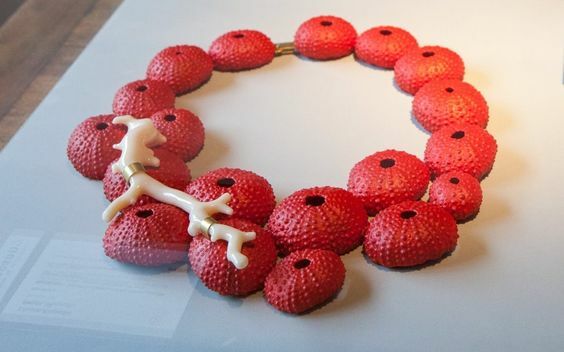 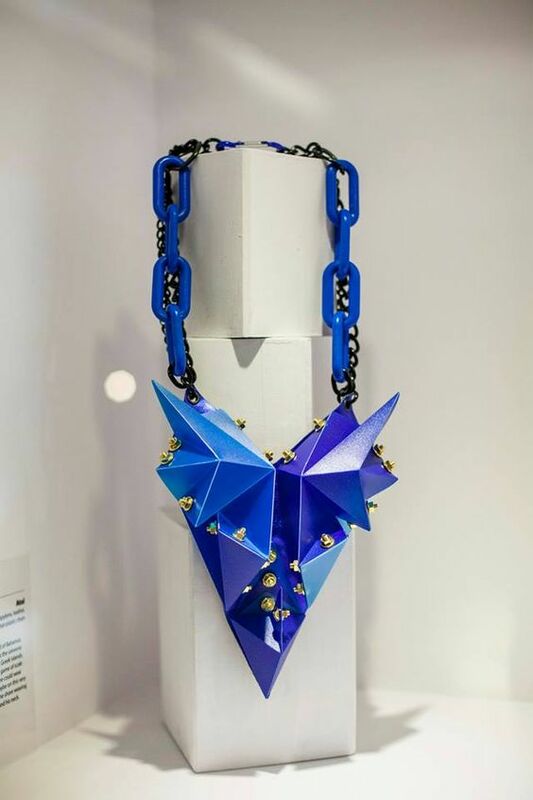 at Popeye loves olive, 15 Greek jewelry designers confabulate with the Mexican artist Jorge Manilla by taking, as an inspiration, a piece of his work and making their own interpretation. 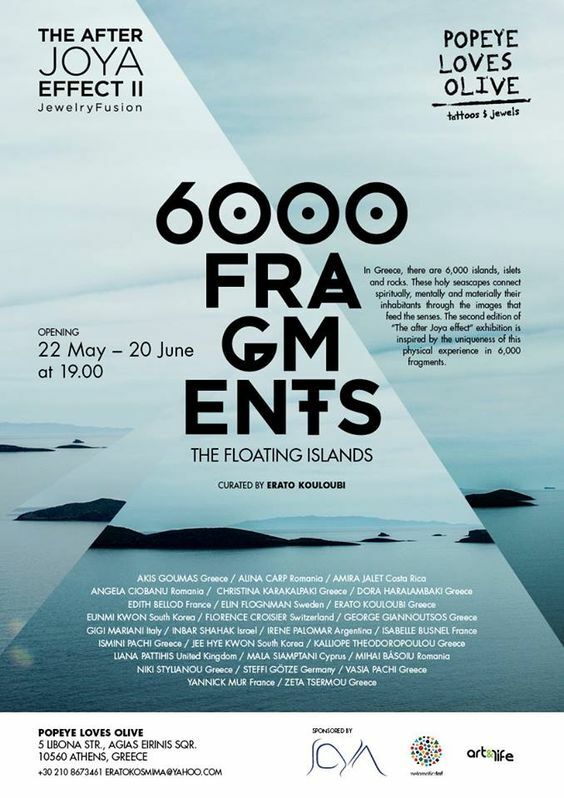 During Jorge Manilla‘s visit to Athens we will have the pleasure to attend his presentation analyzing important aspects of his work. 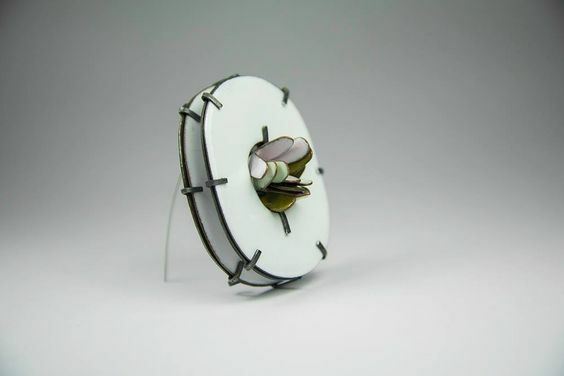 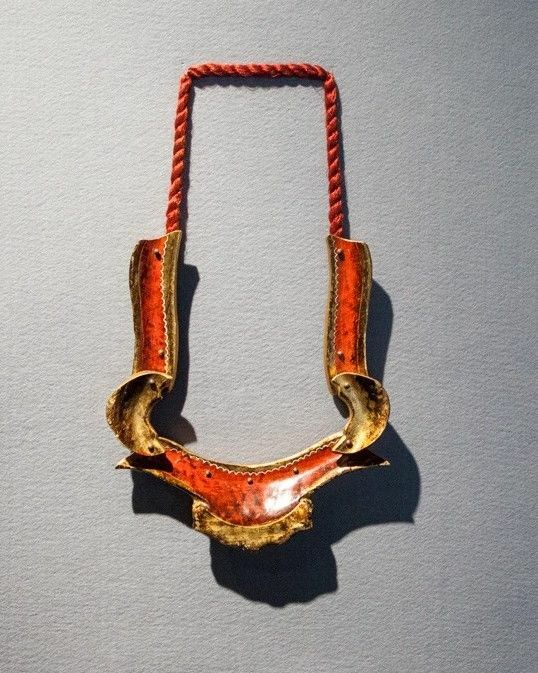 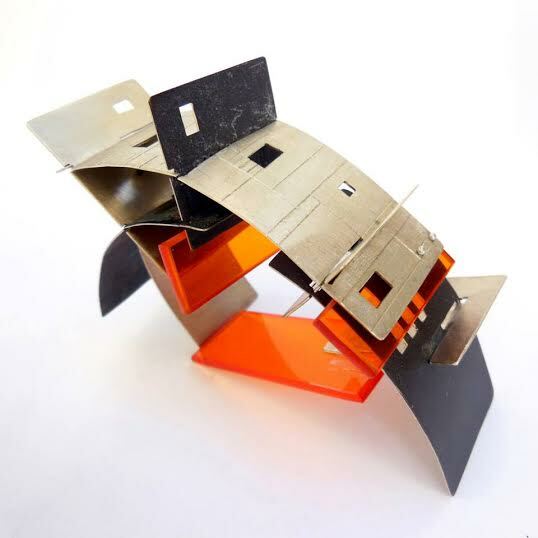 Jorge Manilla // Brooch – It was not just coincidence..